Opto 22 recently returned to the annual ARC Industry Forum in Orlando, Florida with more EPIC news to share. 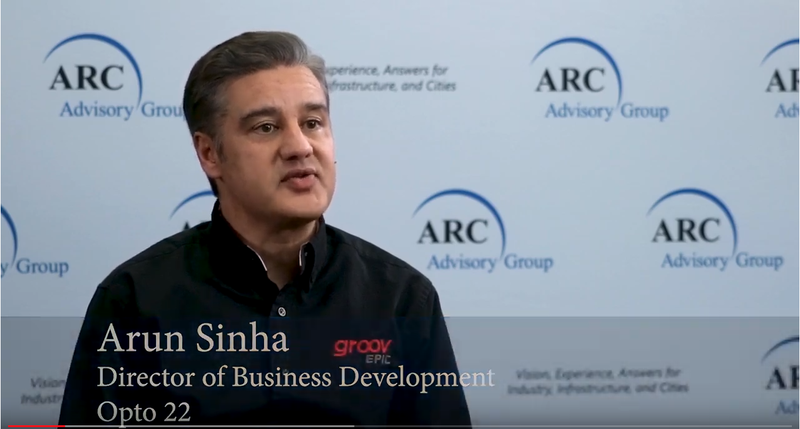 This year's ARC Forum event focused on "Driving Digital Transformation in Industries and Cities". Attendees had the opportunity to learn about new technologies, practices and standards to help with their business's digital transformation. Opto 22 engineers were on hand to announce the new programming options of the groov EPIC system which now includes CODESYS to run your IEC 61131-3 compliant applications, as well as an expanded groov I/O product line. Take a few minutes and watch the complete interview to learn how Opto 22 is addressing the needs of today's industrial marketplace. Janice has worked at Opto 22 for 15 years and is part of the marketing team that strives to share new and relevant content with the automation industry. She enjoys books, camping, country music, and spending time with family and friends.